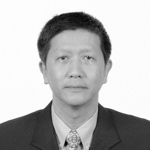 Wee Jiew Liang joined UNU-IIGH in December 2014 as a Finance and Administrative Officer. He is a Fellow member of the Association of Chartered Certified Accountants, and a member of the Malaysian Institute of Accountants. He has over 25 years of working experience in the core area of accounting, financial reporting, auditing and business operation. He has previously worked in various organizations, in the private sector, for nongovernmental organizations and for the United Nations Development Programme.